Asda, Turkish Airlines, the RAF and Al Rayan Bank are just some names set to take part in the UK’s biggest showcase of the trillion pound Muslim consumer industry later this month. The award-winning Muslim Lifestyle Expo 2016 (MLE2016) takes place in Manchester this year and is expected to attract record numbers of visitors. Over 100 exhibitors will be attending from 15 countries like USA, Australia, Germany, Austria, Germany, Malaysia, Indonesia, India and UAE. They will also showcase their products and services over the two-day weekend exhibition to over 10,000 attendees. MLE2016 has been designed to provide a unique marketing platform for brands and businesses to engage with the Muslim consumer by bringing together a number of sectors under one platform. The event will also feature a live catwalk show with leading modest fashion brands, a live food demo theatre featuring Ali Imdad from the Great British Bake Off, comedy from BBC Three’s Guz Khan, a health zone, business seminars and a kid’s zone. The Muslim consumer market is now one of the biggest in the world growing at nearly double the rate of the global economy. According to a report by Thomson Reuters, the Muslim consumer spending on food and lifestyle products and services expenditure was $1.8 trillion in 2014 and is projected to reach $2.6 trillion in 2020. “We are delighted to bring the event to Manchester this year to tap into the thriving Muslim business and consumer base. “We’ve had a tremendous response already and it’s going to be a record-breaking year with attendees and businesses who are attending from all over the world. This year’s showcase has moved to EventCity in Manchester near Trafford Centre and will feature exhibitors from sectors including fashion, food & drink, travel, media, Islamic finance, and health & beauty. Manchester Art Gallery will also take part by providing workshops on Islamic arts and showcase Islamic artefacts over the weekend. 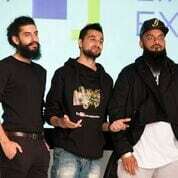 The interactive Expo will also feature a live catwalk showcasing international modest fashion, stand up comedy from British Muslim comedians like Aatif Nawaz and BBC Three’s Guzzy Bear and renowned artist Khaled Siddiq. Thought leaders will highlight the growth of the Muslim lifestyle markets and share business insights at the MLE Connect seminars. 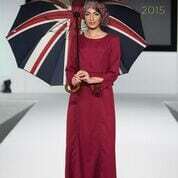 Over 10,000 visitors are expected this year with exhibitors including Brunei Halal, Haloodies, Costco, RAF, Lancashire County Cricket Club, Manchester Art Galleries, London Beard Company, Abaci and Burkini brand Modestly Active. Rauf Mirza, Director of the Muslim Lifestyle Expo, said: “The exhibition is aimed at being a family-friendly and culturally diverse event to promote the positive and vibrant aspects of British Muslims. MLE2016 has attracted Turkish Airlines as the main sponsor and Human Appeal International as the chosen Charity Partner. MLE will also partner with brands such as MyLahore, AHDB and global organisations such as the Islamic Fashion & Design Council. Last year’s pioneering event at Ricoh Arena, attracted over 7,000 visitors from across the UK and over 90 exhibitors from countries including Malaysia, Norway, Turkey, USA and Singapore. Earlier this year, The Muslim Lifestyle Expo won the Services in Creativity and Technology category at The British Muslim Awards 2016. MLE2016 takes place at Manchester’s EventCity on October 29th to 30th.